This and 134 other objects are a part of a set whose first object is Album. This is a Album page. It was created by Whitney Warren Jr.. It is dated May 31, 1887 and we acquired it in 1943. Its medium is graphite on off-white wove paper tipped into binding with fabric. It is a part of the Drawings, Prints, and Graphic Design department. This object was donated by Mrs. William Greenough. It is credited Gift of Mrs. William Greenough. 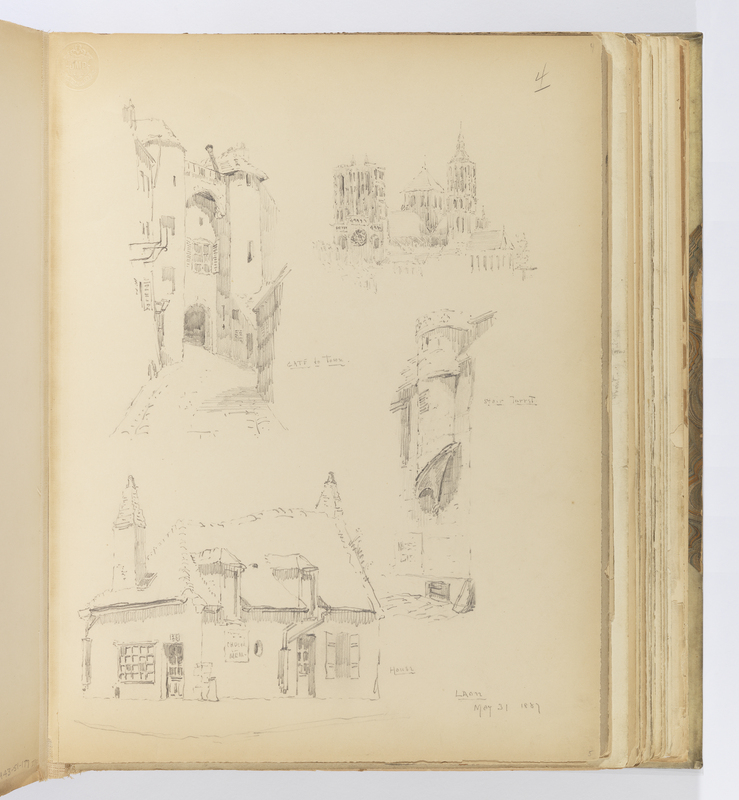 Recto, in graphite, clockwise from bottom right corner of drawing: 5; Laon / May 31 1887; House; Gate to Town; 4; stair turret.